So in order to read the multiple channels, we need to use DMA. 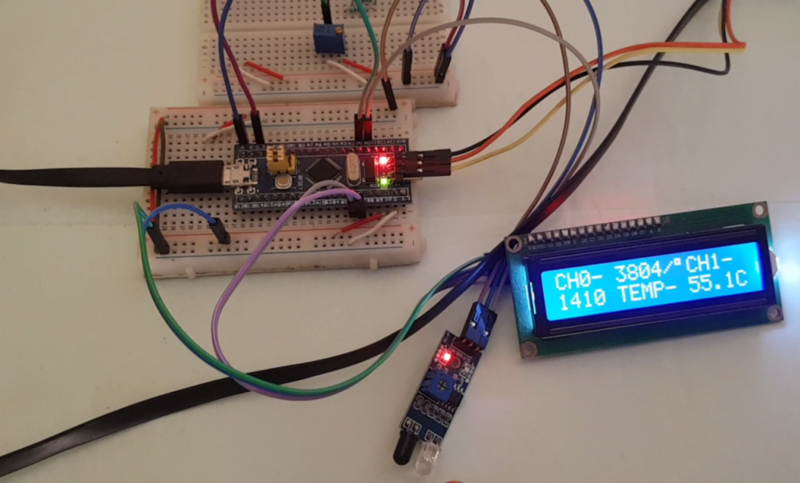 The benefit of it is the conversion will take place in the background and we can perform some other operation with the controller and when we need the values, we can just read them easily. Also note that the ADC sampling time, while reading the temperature, needs to be 17.1 us. Above is the clock section from the CubeMx. Note that I have selected the ADC clock as 14 MHz. The reason behind this is that the Temp sensor sampling time needs to be 17.1 us. While in the ADC setting, we have maximum sampling time as 239.5 cycles. So (239.5/14) gives us 17.1 us sampling time. 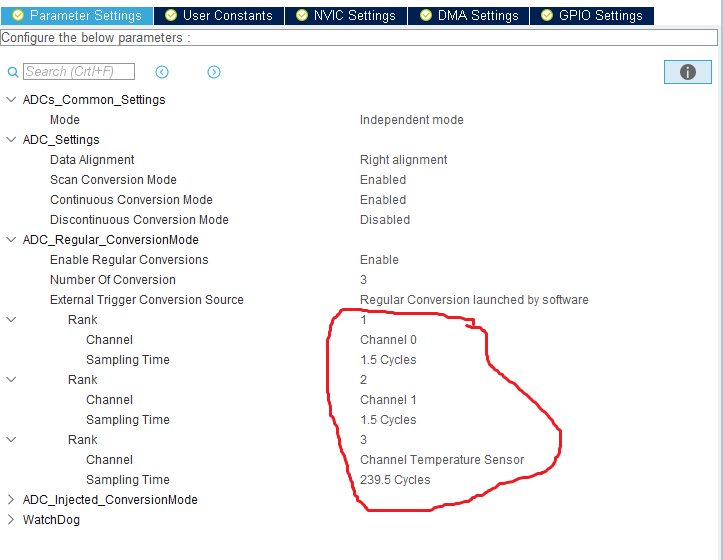 Note that 3 channels are selected and the Continuous conversion mode is enabled. Also in the new CubeMx, you don’t need to worry about scan conversion mode. It will enable and disable by it’s own based on if you are using multi channels or only one channel. Above is the DMA setting for the ADC. MAke sure that the DMA is circular and data width is selected as ‘Word‘. This is because the CubeMx uses ADC in 12 bits resolution by default and in order to store 12 bits we need the ‘Word‘ size. Starts the ADC in DMA mode and the converted data is stored in ‘value‘ buffer. 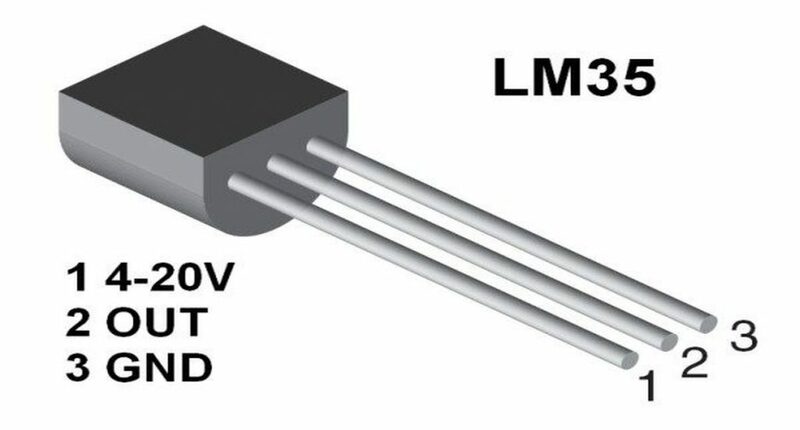 ‘3’ is the length of data to be transferred from ADC peripheral to memory. 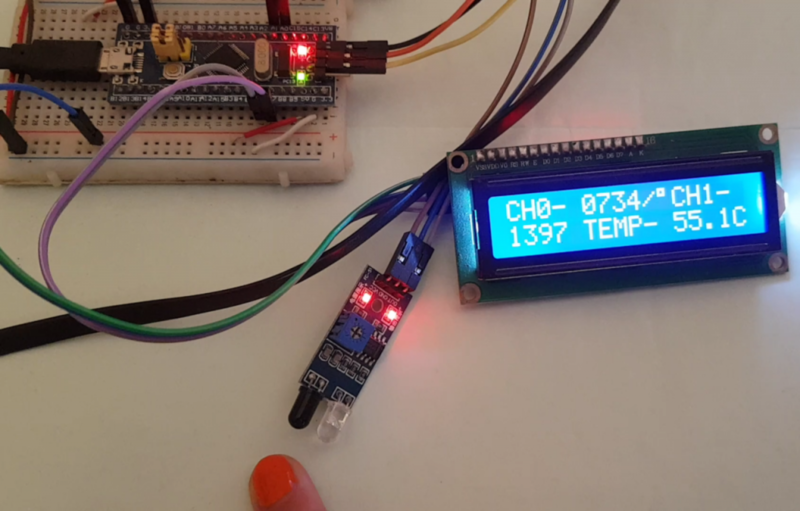 The above code gets the temperature of the sensor in °C. You can change the values of V25 and Avg_Slope according to your controller’s datasheet.